Publisher: The third Gerson Lecture held in memory of Horst Gerson (1907-1978) in the aula of the University of Groningen on 13 March 1986.Includes bibliographical references.. The third Gerson Lecture held in memory of Horst Gerson (1907-1978) in the aula of the University of Groningen on 13 March 1986.Includes bibliographical references. "Gerson lecture -- 3rd" serie. 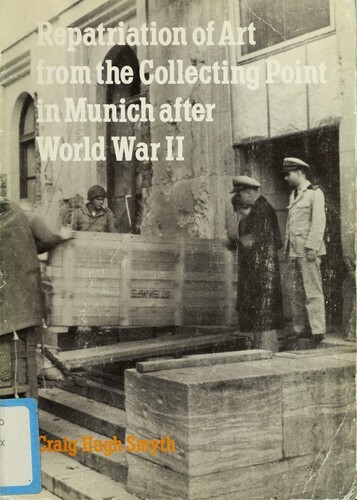 The Free Books Online service executes searching for the e-book "Repatriation of art from the Collecting Point in Munich after World War II" to provide you with the opportunity to download it for free. Click the appropriate button to start searching the book to get it in the format you are interested in.